The most recent official Italian survey of vineyards, performed in 2010, lists about 440 different grape varieties growing in Italy. But new varieties continue to be recognized, and as of mid-2018, the national registry of grape varieties cataloged 517 winegrapes. A lot of these are not grown in great quantity, but the diversity of grapes in nevertheless astonishing. Below is an alphabetical list of most of the significant varieties, including all varieties with more than 400 hectares (1,000 acres) planted or that feature in a DOP wine. Falanghina Group of at least two distinct varieties­: Falanghina Beneventana and Falanghina Flegrea. Both high in acidity. Aromas & flavors: (Flegrea) Peach, yellow apple, apricot, cherry pit; (Beneventana) less fruity, more floral. Both have a green, leafy note. Best DOPs: (Flegrea) Falanghina del Sannio; (Beneventana) Benevento. 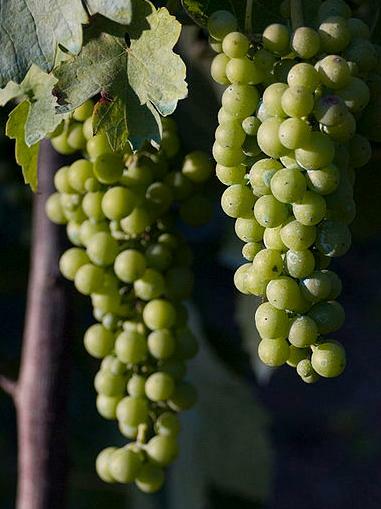 Fiano One of Italy’s greatest white varieties. Light to full bodied; very versatile. Best on volcanic soils. Steely, minerally; ageworthy. Aromas & flavors: Hazelnut, green apple, pear, honey. Frappato Low in tannin, light bodied, and light in color. Aromas & flavors: Strawberry, violet, herbs. Freisa High in acidity and tannin; can be bitter. Aromas & flavors: Strawberry, sour red cherry, sandalwood, earth. Best DOP: Freisa d’Asti. Best biotype: Freisa di Chieri. Close relation of Nebbiolo. Friulano Same as Sauvignon Vert (aka Sauvignonasse). Pale straw green color. Aromas & flavors: White flowers, almond, green apple.